You will love this two piece travel set to take your goodies on the go. Come let Angie teach you the tricks to make it a snap! 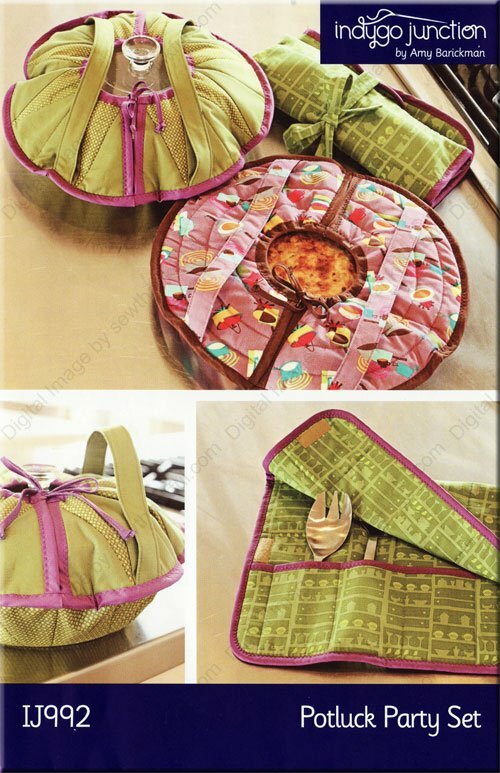 The circular 15" diameter casserole/pie carrier can be pieced , then quilted with your favorite technique. Insulated batting keeps items warm. Handles and drawstring closures keep dishes secure. Bring your serving ware along with fold & tie roll. With this set, you will be ready to party!